Congratulations to Patty! She is the winner of The Art of Losing Yourself giveaway! Enjoy Patty! 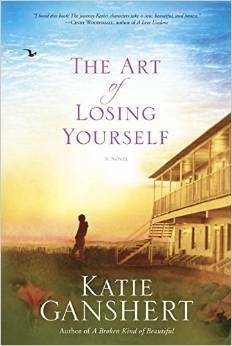 The Art of Losing Yourself by Katie Ganshert is a 320 page book in the Christian fiction genre. It is published by WaterBrook Press and released on April 21, 2015. To purchase your copy from Amazon, click here or to order at Barnes & Noble, click here. The Art of Losing Yourself is a well written novel that will challenge you to change yourself and look at your problems from a different perspective. The novel deals with difficult issues such as alcoholism, abuse, and infertility. Ganshert shows how God can bring healing. Also how love and patience can bring people together. The characters in The Art of Losing Yourself are raw and real. The reader can feel their emotions as well as their pain and it tugs on your heartstrings. They sweep you into a whirlwind that makes you want to keep turning the page to see what happens next. These characters deal with real-life issues that many struggle with on a daily basis, and show you how God’s love can shine through. Although there are weighty issues in The Art of Losing Yourself, the humor sprinkled throughout the novel keeps it from being a difficult read. Ganshert unfolds the plot by showing the readers the story, not by telling the readers the story. For example, one of my favorite quotes, “….he didn’t seem to notice that I was a lone marshmallow in a sea of hot chocolate” (184) paints an incredible mental picture and gives authenticity to the novel because the reader can picture a teenager making this comment. We all have felt out of place at sometime in our lives – we are uncomfortable and feel as if everyone is watching us. Can’t you picture yourself as a marshmallow floating on top in these situations? I know I can. The imagery Ganshert employs in her novel paints some beautiful pictures through the pain of the characters. I give this book 5 out of 5 stars. This is a book that will make you reflect on how you handle life’s problems and remind you that we cannot appreciate the good times without going through the valleys as well.. Award-winning author, Katie Ganshert, graduated from the University of Wisconsin in Madison with a degree in education, and worked as a fifth grade teacher for several years before staying home to write full-time. She was born and raised in the Midwest, where she lives with her husband, their young son, and their goofy black lab, Bubba. When she’s not busy writing or playing or reading or consuming chocolate, she is dreaming about the day her Congolese daughter can finally come home. You can learn more about Katie and her books by visiting her website at www.katieganshert.com. A huge thank you to Katie Ganshert for a free copy of her book in exchange for my honest review. No money compensation was received for this review and all opinions expressed are my own. To celebrate the release of Katie Ganshert’s new release, I am having a giveaway! Yay! One winner will receive a copy of The Art of Losing yourself. Giveaway ends at Midnight on Thursday, April 23. The Creole Princess by Beth White is a 352 page novel in the historical Christian fiction genre. It is published by Revell on April 7, 2015. Click here to purchase from Amazon or here to purchase from Barnes and Noble. All along the eastern seaboard, the American struggle for independence rages. In the British-held southern port of Mobile, Alabama, the conflict brewing is quieter–though no less deadly. The lovely Frenchwoman Lyse Lanier is best friends with the daughter of the British commander. Rafael Gonzalez is a charming young Spanish merchant with a secret mission and a shipment of gold to support General Washington. As their paths cross and their destinies become increasingly tangled, Lyse and Rafael must decide where their true loyalties lie–and somehow keep Lyse’s family from being executed as traitors to the British Crown. The Creole Princess is a fast-paced novel that keeps you on your toes. It is very apparent that White did a lot of research on both the history of the time period as well as the setting in which the novel takes place; this shines through in her writing. There are several cultures represented throughout The Creole Princess and the nuances added to her characters from each culture make them very authentic. Added to all of this, the history represented is not very well known so you learn something new. There are many solid characters in The Creole Princess; some you love and some you hate. They come to life and give you a small glimpse of what it would have been like to live during this time period. White excels at creating tension through her characters and their situations which makes it hard to put her book down. You can not wait to see what happens next. The main protagonist, Lyse, illuminates love, grace and forgiveness. She makes you want to be a better daughter, sibling, wife, and friend. I give this book 5 out of 5 stars. It will definitely be one I will read again! Beth White is the award-winning author of The Pelican Bride. A native Mississippian, she teaches music at an inner-city high school in historic Mobile, Alabama. Her novels have won the American Christian Fiction Writers’ Carol Award, the RT Book Club Reviewers’ Choice Award, and the Inspirational Reader’s Choice Award. Learn more at www.bethwhite.net. 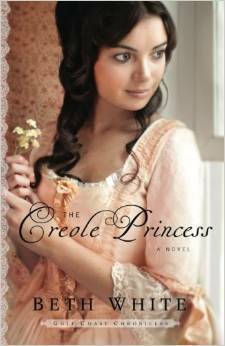 Thank you to Revell and Beth White for a free copy of The Creole Princess in exchange for my honest review. No monetary compensation was received for my opinions expressed in this review. Congratulations to Trixie O. The winner of The Matchmaker by Sarah Price. Thank you to all who entered! 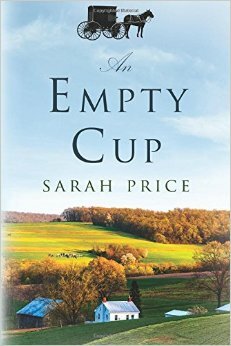 An Empty Cup by Sarah Price is a 252 page novel in the Amish fiction genre. It is published by Waterfall Press and will be released on April 14, 2015. To purchase your copy from Amazon, click here or Barnes and Noble, click here. Amish woman Rosanna Zook lost her self-confidence within the confines of a loveless and abusive marriage. In the years spent quietly dealing with her burdens and dutifully caring for others, she forgot her sense of self and ability to feel. But after her first husband’s untimely death, she gets a second chance with Reuben Troyer, a godly man who welcomes Rosanna and her two children into his life. Despite the love and respect she finds in her new marriage, Rosanna soon learns that juggling the demands of her family and church community is more than she can handle. When Rosanna becomes ill, she is forced to confront a hard truth: one empty cup cannot fill another. For a woman who has spent her life giving, will Rosanna finally be able to let go and receive? Many novels bring enjoyment to their readers, not all do this and bring life applicable lessons with them. An Empty Cup deals with deep and real issues; many of which we as women experience on a daily basis. There are several teachable moments where we learn that even good things can be made into negative when we do not keep our lives balanced. This affects not only ourselves but others around us as well. Price’s characters and storyline are very realistic. It is easy to feel empathy for Rosanna, the main protagonist, and see yourself through her. Even though An Empty Cup deals with difficult issues, it is not a struggle to read. The issues are handled with wisdom and provide tension to the story. As I finished this book, I found myself reflecting on Rosanna’s struggles and giving my life a good hard look. I give this book 5 out of 5 stars. It’s one that the reader will be able to read again and find encouragement. Sarah’s family settled in Pennsylvania when the first wave of Mennonites emigrated from Europe in 1705. She divides her time between her home outside of New York City and an Amish farm in Lancaster County, Pennsylvania where she writes and reconnects with her Amish friends and Mennonite family. To learn more about Sarah, visit her website at sarahpriceauthor.wordpress.com or on Facebook at www.facebook.com/fansofsarahprice. A special thank you to Sarah Price for a copy of the book in exchange for my honest review. All opinions expressed are my own, and no monetary compensation was received for this review. Bound together across time, two women will discover a powerful connection in Kristy Cambron‘s new book, A Sparrow in Terezin. Connecting across a century through one little girl, a Holocaust survivor with a foot in each world, two women will discover a kinship that springs even in the darkest of times. In this tale of hope and survival, Sera and Kája must cling to the faith that sustains and fight to protect all they hold dear—even if it means placing their own futures on the line. Kristy is celebrating by giving away a basket filled with goodies inspired by her new book! Enter today by clicking the icon below. But hurry, the giveaway ends on April 28th. Winner will be announced April 29th on Kristy’s blog. Buried Secrets by Irene Hannon is a 384 page novel in the Christian romantic suspense genre. It is published by Revell and released on April 7, 2015. Click here to purchase your copy from Amazon or here to order from Barnes and Noble. After seven years as a Chicago homicide detective, Lisa Grant has hit a wall. Ready for a kinder, gentler life, she takes a job as a small-town police chief. But the discovery of a human skeleton by a construction crew at the edge of town taxes the resources of her department. A call for assistance brings detective Mac McGregor, an ex-Navy SEAL, to her doorstep. As they work to solve the mystery behind the unmarked grave, danger begins to shadow them. Someone doesn’t want this dead person telling any tales–and will stop at nothing to make certain a life-shattering secret stays buried. 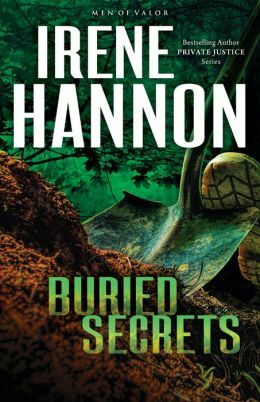 Having read several of Irene Hannon’s books, I was excited to read her newest book Buried Secrets. This is the first book in a series and Irene does a great job of introducing the main characters, but also setting up secondary characters for her future books. The secondary characters provided tension and helped to give insight into the main characters, Lisa and Mac. The plotline itself was on the slow side at the beginning. It was disappointing that the killer was revealed very early in the book. Also, the romance was very typical and not very realistic. Despite these criticisms, the book did pick up towards the middle and makes the reader wonder if there will be justice. Irene Hannon is the bestselling author of more than forty-five novels, including the Heroes of Quantico, Guardians of Justice, and Private Justice series. Her books have been honored with two coveted RITA Awards from Romance Writers of America, a Carol Award, two HOLT Medallions, a Daphne du Maurier Award, two Reviewers’ Choice Awards from RT Book Reviews magazine, a Retailers’ Choice Award, and a National Readers’ Choice Award. In addition, she is a Christy Award finalist, and Booklist included one of her novels in its “Top 10 Inspirational Fiction” list for 2011. She lives in Missouri. Learn more at www.irenehannon.com. Thank you to Revell Publishers for a free copy of Buried Secrets in exchange for my honest review. All opinions expressed in this review are my own and no monetary compensation was received in exchange for them. Visit my Facebook page to enter to win a copy of Buried Secrets. While there, like my Facebook page to keep up to date on latest releases, reviews, and giveaways! Double Cross by DiAnn Mills is a 400 page novel in the mystery suspense genre. It is published by Tyndale House Publishers on March 20, 2015. To purchase your copy through Amazon, click here or from Barnes and Noble, click here. FBI Agent Laurel Evertson’s investigation into a scam targeting the elderly takes an unexpected twist when key evidence leads her to Morton Wilmington, a felon she arrested five years ago on her first undercover assignment. That case has haunted her since, and though she’s vowed to forget Wilmington—and what she sacrificed to put him away—he is now her best lead. Houston Police Officer Daniel Hilton fears his grandparents may be the scammer’s next targets, and he’ll do anything to protect his family—even force interagency cooperation. But he’s quickly drawn to Laurel’s empathy and zeal and agrees to follow her lead . . . even if it means teaming up with a felon. As the unlikely trio uncovers evidence suggesting the scam is more extensive and deadly than they imagined, both Laurel and Daniel find themselves in the crosshairs of a killer. Together they must decide if they can trust Wilmington’s claims of redemption, or if he’s leading them straight into a double cross. Double Cross is the second book in the FBI: Houston series but it can be read as a stand alone. It was easy to read and to follow. The intrigue made the novel fast paced once the scene was set and I wanted to keep reading to find out what happens next. This is my first experience with DiAnn Mills novels and it was not a disappointment. Although the book was slow at the beginning, Mills’ characters are well written with flaws that finds the reader feeling empathy for them. Mills uses her characters to show the reader how we can overcome our flaws with the help of our faith which was highly encouraging. I enjoyed how she interwove romance into the novel which made it very believable and not sappy. The relationship Daniel has with his grandparents is very sweet and endearing. The research behind Double Cross is evident to the reader and it makes the plotline credible. Mills keeps you guessing who is on the side of the good and on the side of the bad and if everyone will make it out safe throughout the novel. I was not able to guess the truth until the author wanted it revealed. I give this book 4 out 5 stars. If you enjoy reading suspense mysteries with a side of romance, you will enjoy DiAnn Mills’ Double Cross. DiAnn Mills is a bestselling author who believes her readers should expect an adventure. She combines unforgettable characters with unpredictable plots to create action-packed, suspense-filled novels. Her titles have appeared on the CBA and ECPA bestseller lists; won two Christy Awards; and been finalists for the RITA, Daphne Du Maurier, Inspirational Readers’ Choice, and Carol award contests. DiAnn is very active online and would love to connect with readers on any of the social media platforms listed at www.diannmills.com. 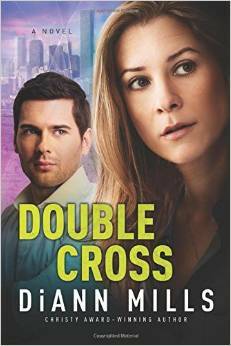 Thank you to Tyndale House Publishers for a free copy of Double Cross in exchange for my honest review. No compensation has been received for this review and all opinions expressed are my own. An Amish Spring by Sarah Price is a 72 page novella in the Amish Christian fiction genre published by Amazon Kindle Services on March 21, 2015. Click here to order your copy. It’s springtime in Lancaster, Pennsylvania and Drusilla Riehl has just turned eighteen. While she’s attended youth gatherings and singings in the past, something feels just a little bit different now. As the eldest child, she has a lot of responsibilities, especially with her aging grandparents living in the smaller house attached to the Riehls’ farmhouse and with Drusilla’s mother expecting a baby soon. Follow the story of this young Amish woman as she comes of age in the springtime of her life, balancing her commitment to faith, family, and friends. The Amish Seasons Series, a four-part series, follows the story of Drusilla Riehl as she passes through the seasons of life. The first of a four book series, An Amish Spring introduces readers to the Riehl family and their Amish community, both Amish and Mennonite, and will be sure to delight as you learn more about the Amish religion and culture from Sarah Price, one of the leading bestselling authors of Amish Christian fiction who bases her stories and books on authentic experience growing up Mennonite and living among the Amish. As the cold of winter is passing, we see spring bloom in the life of Drusilla (Dru) Riehl. Dru is a sweet, caring girl who genuinely cares for her family as well as others. An Amish Spring follows her life through the spring of the year. We get a glimpse of authentic Amish life through events, such as a barn raising, and we see how a young girl starts thinking differently about life through them. An Amish Spring is a truly delightful story with real characters. Price’s knowledge of the Amish life shines through and gives the story credibility. Her descriptions of the setting and characters bring the story to life in the mind of the reader. The four part series reminds me of the serials done in the Victorian Age by great authors like Charles Dickens. Best of all, the series celebrates the start of each new season! I am looking forward to watching Dru through each one. I give this book 5 out of 5 stars. It’s a book not to miss! Congratulations to Myrtle and Rhonda, our two winners! To celebrate the coming of spring and the release of Sarah Price’s new book, I am giving away to copies of her An Amish Spring! Contest ends Sunday, March 22 at midnight PST. 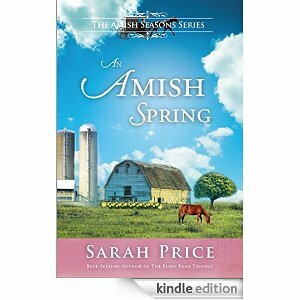 To order An Amish Spring by Sarah Price, click here. Author simpleharvestreadsPosted on March 20, 2015 Categories HomeTags #Amish, #Christianbooks, #giveaway, #newbook5 Comments on Let’s Celebrate Spring! 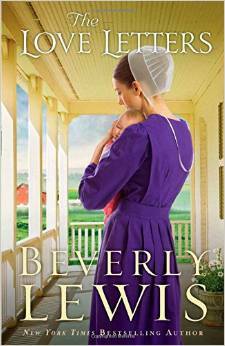 The Love Letters by Beverly Lewis is a 352 page book in the Christian Amish fiction genre. It is published by Bethany House Publishers and releases on March 24, 2015. To Order your copy from Amazon, click here or from Barnes and Noble, click here. No more than a couple weeks, surely. I have not found a Beverly Lewis book I did not enjoy and The Love Letters is no different. I enjoyed the The Love Letters because it dealt with so many different issues which kept the story moving at a fast pace. Disabilities, disappointment, death, love, judgmentalism, fear were just some of the issued faced by the characters in Lewis’ book. I found encouragement through the main characters trust in God and looking to him in difficult circumstances. There were a few characters stories interwoven in the pages of The Love Letters yet it read fluidly and easily. Sweet Small Jay, a boy with disabilities wants nothing more than to be accepted and seen for the talents he has. He is a sweet character that I loved from the beginning. Marlena dealt with death, taking care of her sisters baby and judgement from others. Her caring relationship with her grandmother showed that we can learn many things if we take the time to invest. Boston, a hobo who faced judgmentalism from the community, brings to light that we should not judge a book by its cover. There are several side characters who brought both encouragement and tension to the story. You will love some of the characters and want to strangle others! The Love Letters is a wonderful book. I give it a full five stars and would recommend it to the TBR pile of anyone who enjoys Amish fiction. Beverly Lewis, born in the heart of Pennsylvania Dutch country, has more than 17 million books in print. Her stories have been published in eleven languages and have regularly appeared on numerous bestseller lists, including the New York Times and USA Today. Beverly and her husband, David, live in Colorado, where they enjoy hiking, biking, making music, and spending time with their family. Learn more at www.beverlylewis.com. Thank you to Bethany House Publishers and Netgalley for an advance copy of The Love Letters in exchange for my honest review. 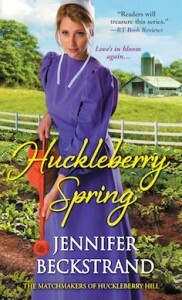 Huckleberry Spring by Jennifer Beckstrand is a 352 page novel in the Christian Amish genre, published by Zebra on January 27, 2015. To purchase your own copy from Amazon, click here or to order from Barnes and Noble, click here. Ever since the Helmuths’ grandson, Ben, abruptly broke his engagement and moved to Florida, Emma Nelson has kept busy tending her vegetable garden and raising award-winning pumpkins. She can put her heartache aside to help Ben’s Mammi with her own pumpkin patch. At least until Ben shows up to lend support to his ailing Dawdi. . . Gardening side by side with pretty, nurturing Emma is a sweet kind of torture for Ben. She could have her pick of suitors who can offer what he can’t, and he cares too much to burden her with his secret. Leaving once more is the only option. Yet Emma’s courage is daring him to accept the grace that flourishes here, and the love that has been calling him back to Huckleberry Hill. . .
Huckleberry Spring is my first experience with author Jennifer Beckstrand and I was not disappointed. Even though I had not read the previous books, I was able to follow the storyline with ease. I was drawn in and read the book in one sitting. I could not put it down! Beckstrand did a fantastic job in bringing her characters to life. I love the relationship of Anna and Felty (Mammi and Dawdi). They are such a cute couple who bring humor to the story which I haven’t found in many Amish stories. The tension between Emma and Ben drives the plotline of the story and keeps you reading. Anna’s brother and Ben’s sister also add tension and humor to the story. Huckleberry Spring will make you experience a whirlwind of emotions. It was an encouragement to me to remember that it is important to trust God, to not let pride get in the way of the plans God has for us and the consequences of what can happen when we do. I can not wait to read the next installment in this series and I want to go to read the first three. I give this book 5 out of 5 stars. Jennifer Beckstrand is the bestselling Amish romance author of The Matchmakers of Huckleberry Hill series for Kensington Books. Huckleberry Summer has been nominated for the RT Book Reviews Reviewer’s Choice Award, and Huckleberry Hill won the 2014 LIME Award for Inspirational fiction. Both Huckleberry Hill and Huckleberry Christmas appeared in Examiner.com list of top ten inspirational books for 2014. Jennifer has always been drawn to the strong faith and the enduring family ties of the Plain people and loves writing about the antics of Anna and Felty Helmuth. Jennifer has a degree in mathematics and a background in editing. She and her husband have been married for thirty years, and she has four daughters, two sons, and three adorable grandsons, whom she spoils rotten. A huge thankful to Perspectives By Nancee and Jennifer Beckstrand for the giveaway in which I won a copy of Huckleberry Spring. I have received no monetary compensation for my opinions nor my review.